Vacation Bible School sounds like something that is ages away, but if you've ever been involved in planning and teaching, you know that right now is the time to be starting to think about those summer plans for the kids in your church. 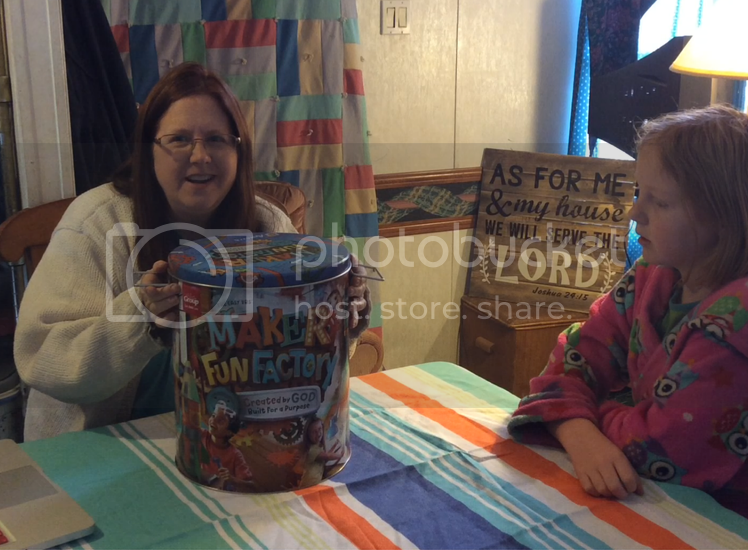 Family Christian offered me the chance to get a look at the Maker Fun Factory VBS Ultimate Starter Kit from Group Publishing. I have participated in a few programs put out by Group Publishing, including a VBS program at my current church (Kingdom Rock). One thing I really love about their resources is that it is clear that they have used the materials with real kids -- and real volunteers -- and that makes it so easy to focus on the other goals. Like teaching the kids about Jesus. R - Relational - the kids learn by interacting with their small group, by building relationships. E - Experiential - the kids learn by interacting, by experiencing the lesson. A - Applicable - the lessons relate to them and their actual lives. L - Learner-Based - the lessons are taught in multiple ways to reach all kinds of learners. Back to my list at the start of this post. I have to tell you that the Maker Fun Factory VBS Ultimate Starter Kit makes it so easy to accomplish those goals. Each day centers on a single main point, a point that is reinforced in every station. They learn about God, about Jesus, and the main idea is consistent throughout all of various activities. Interaction is built into the program at all of the stations. The kids interact with their mixed-age group, their group leader, and the various station leaders. Prep work for the volunteers is minimal, with the absolutely fabulous guides that you can follow verbatim. As a station leader, you know that the activities will take up the allotted time. You aren't going to need to skip all the discussion at the end because the activity took so long, nor are you going to finish up and still have ten minutes to kill. You know what the kids are doing in other stations, it is clear how your part fits in with everyone else. With small groups of no more than five students (led by a teen or adult) and stations (led by an adult), parents know that their children are with at least two responsible someones at all points in the day. Group Leaders are encouraged to be personal with each of their students, Station Leaders are encouraged to interact directly with the students who come through their stations. This isn't the only thing that Family Christian is doing to help with VBS. They put on VBS Preview Events. The first one was this past weekend, but there are two more happening this month and next. You can register for those at Family Christian's registration page. I recommend it.